Finish just one side of this valentine to give to a friend; or finish both sides, tie on a ribbon and hang as a classroom decoration. One side of the large heart says, “Friends forever,” but the other side is blank so a personal message can be added. Examples of the project are shown with and without glitter. 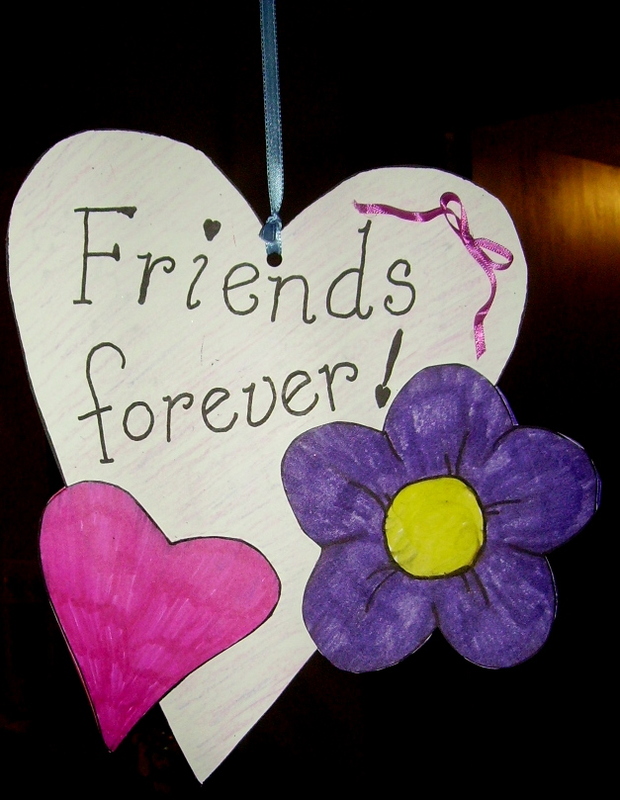 This project, “Friends Forever Valentine,” is in the 2nd Grade Projects Gallery in the sidebar. This entry was posted in 2nd Grade, Categories, Valentine's Day and tagged 2nd Grade, childrens valentine crafts, classroom valentine decoration, easy projects for valentines, easy valentine crafts, friends forever valentine, hanging valentine project, heart valentine crafts, valentine crafts, valentine crafts for kids. Bookmark the permalink.